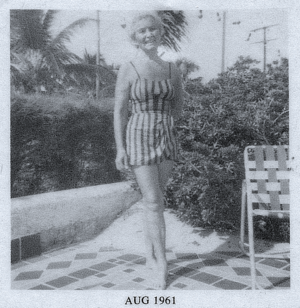 In 1941 Reggie Jaffe, in order to lose weight and improve her health, turned to a 100% raw and live foods diet that dramatically changed her life. What at first was a dietary change to lose weight soon became a 33-year journey into physical health and spiritual inquiry. Maintaining a healthy diet, fasting, and never so much as a single aspirin, she practiced yoga every day and exercised vigorously in her 80’s. Along her path she studied closely with teachers such as Ann Wigmore of the HIPPOCRATES INSTITUTE and J. Krishnamurti and the teachers of the THEOSOPHICAL SOCIETY. She would visit with Helen and Scot Nearing, who through their writings Living The Good Life, were pioneers of the “getting back to the land” movement. In 1971, her daughter Erna and Bert Yaffe opened The Golden Sheaf, Providence’s earliest full-scale natural foods market, which included the area’s very first juice bar – juicing with a Norwalk Hydraulic Press, one of the methods we use here today at wildflour. For 20 years The Golden Sheaf was the center of the community for organic and natural foods. In continuation of this tradition, the Garden Grille opened its doors in 1996 with the intention of creating the most delicious vegetarian food for everyone. With its success and local need for vegan, gluten-free, raw foods and a complete fresh juice and nutrition bar, we offer wildflour – and it is in honor of Reggie, 70 years later.